Browning has several different trail cam products that they sell but this is probably the best one of them in our top list. Although it is not full of standout features it does get better than passing grades for just about everything on it. Those who own and use it seem to really like how it performs. We thought we would take a little closer look at it too. 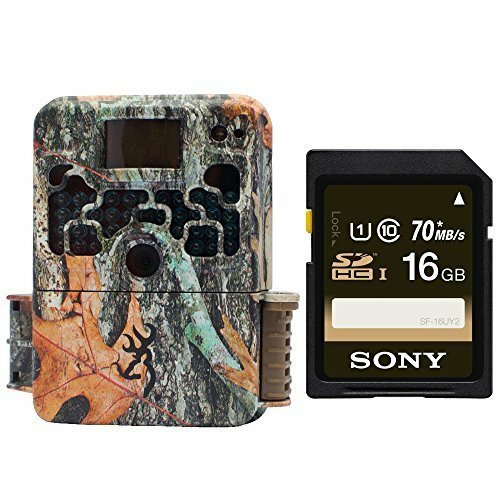 You get crystal clear photos with this model game camera. These photos can be as high a quality as 10 megapixels. 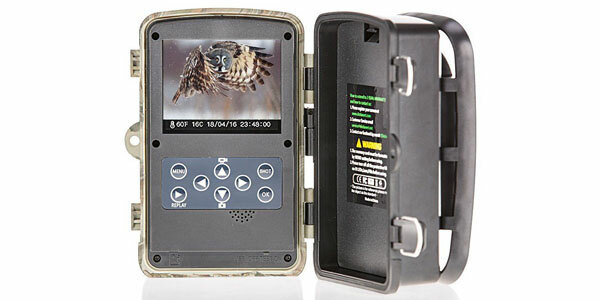 The Browning Strike Force Elite Trail Camera can be set to take photos when its sensor is tripped or at timed intervals. 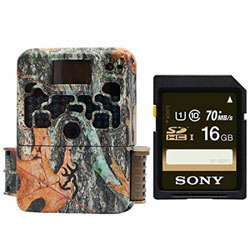 There are several different video modes that can be used with this trail cam. It can shoot 5-minute streams of daytime video or 20-second nighttime video streams. The video quality is an adequate 720P. 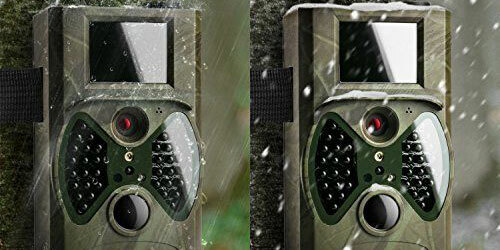 The average effective sensor trip range for the Browning Strike Force Elite Trail Camera is around 55’. Programming of this trail cam is done using its green screen display. It has a simple menu-driven layout. Many users are impressed by how easy it is to program. The green screen display is not easy to view photos or videos on. The battery life on this trail cam is above average. It uses 6 AA batteries to power it. These batteries can last up to 7 months if they are lithium style batteries. That is above average battery life when compared to many other trail cameras. 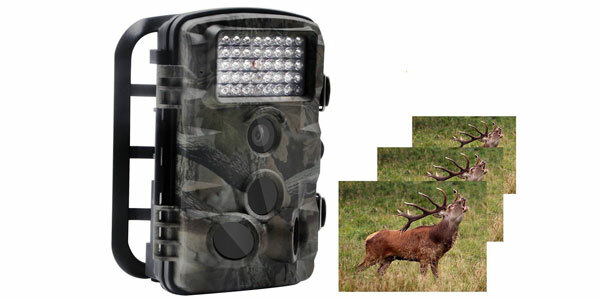 This is a sturdy and durable trail cam product also. It even looks good thanks to its nice camouflage pattern. It’s easy to mount on a pole or tree out in the field thanks to its included double strapping system. One of the best things about this browning trail cam is how compact and lightweight it is. 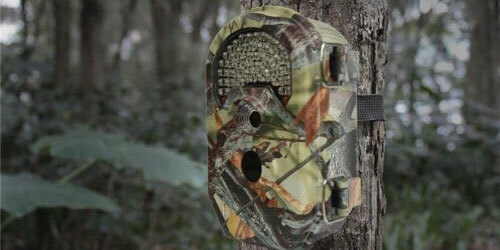 The Browning Strike Force Elite Trail Camera is just 4.5” x 3.25” x 2.5” in size and weighs less than 1 pound. That makes it easy to carry into the field with you and easy to mount without it taking much effort. 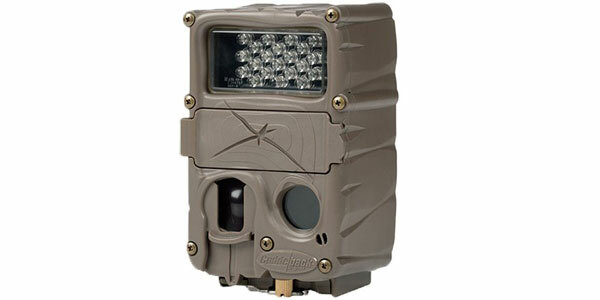 Another great feature this game camera has is its powerful infrared nighttime flash. It will light up an area out to 100’ to take high-quality nighttime photos. Its nighttime flash range far exceeds its motion sensor range. You will never miss an opportunity to get a clear nighttime photo once its motion sensor has been tripped. We did notice that it only has a 720P video resolution. Most of the other trail cams we reviewed are up in the 1080P range. With that being said, the video this camera takes is still more than adequate for scouting game. 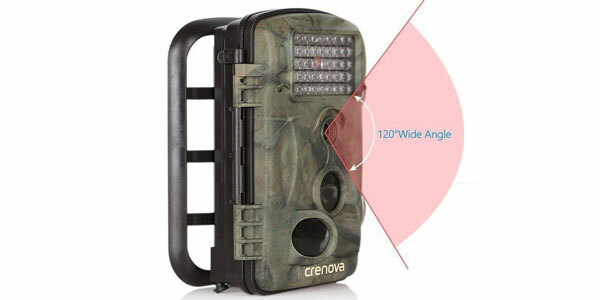 This trail cam only has a backlit green display screen that is used mainly for programming. There is no real photo or video viewing feature. 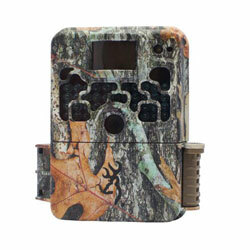 This is a decent trail cam and a big seller for Browning. We can see why most people like it. Although it does not have what we would call real standout features on it there are still many good features it has too. The photo quality it has is excellent and its nighttime flash is very powerful. It also mounts very easy using its included strap. This is definitely a trail cam worth taking a closer look at if you are in the market to buy a new one.